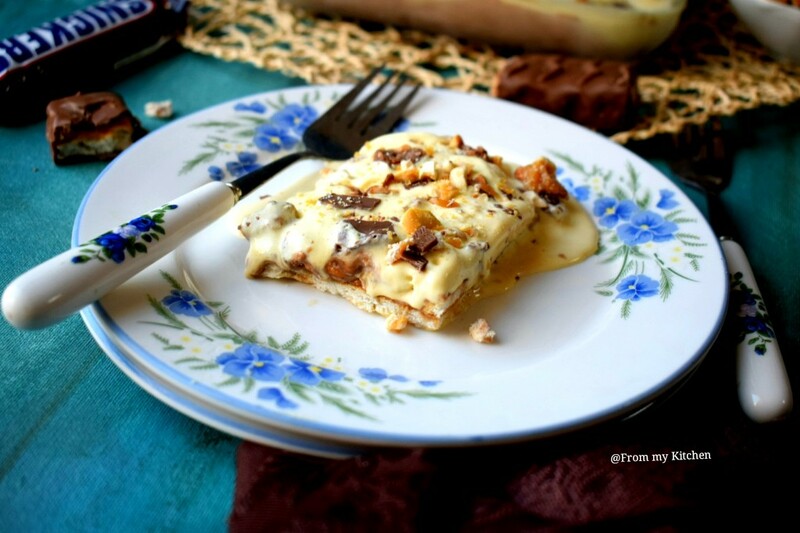 A quick fix dessert that takes hardly 5 to 8 minutes to prepare and the end result is so fab! 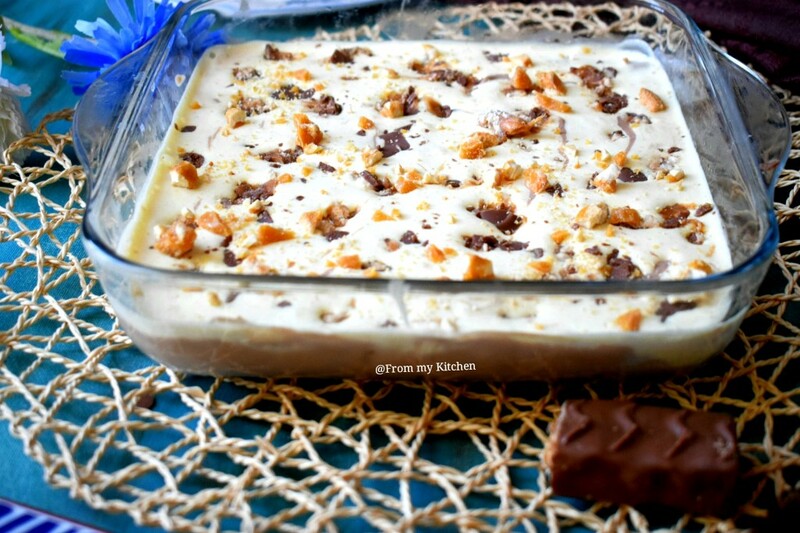 Yes this snickers icebox pudding is a delicious combination of snickers ganache and butterscotch ice cream with a thin layer of cake or biscuit topped with crunchy praline!! 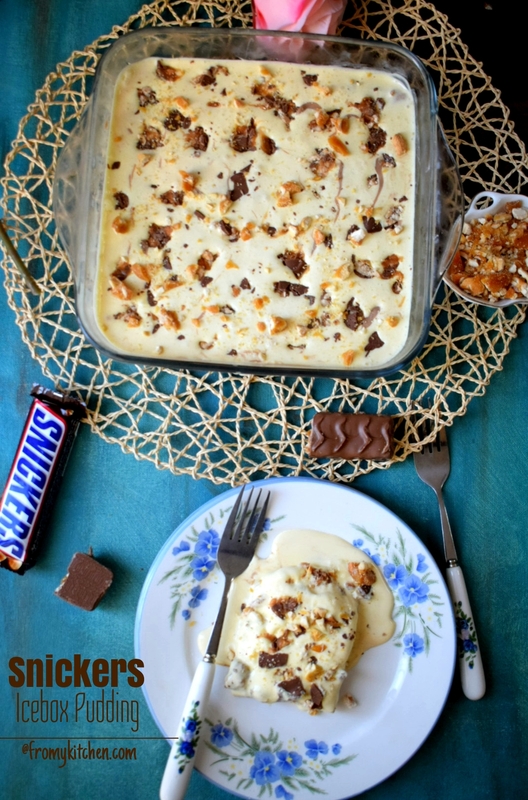 If you are a Snicker fan then this one is a must try! Something different from the cream based dessert! 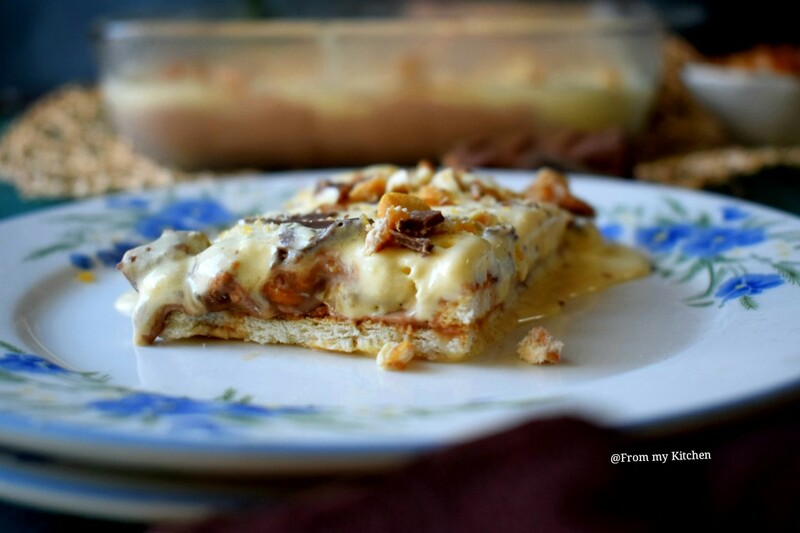 This easy peasy dessert was shared to me by my cousin Haneeya (hantata)! 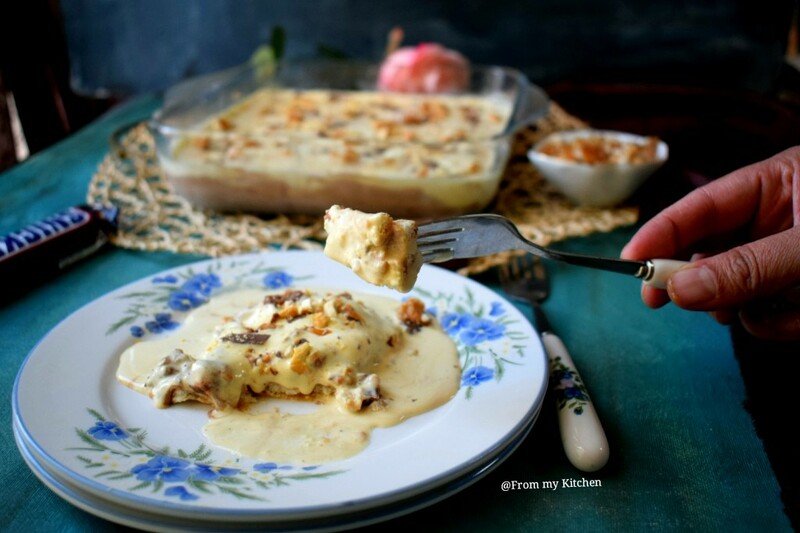 She has many such quick-fix dishes on her menu which is equally delicious!! I was drolling when she was describing the pudding! hehe! From that day I know I’m gonna definitely try this one soon and was waiting for an opportunity to make it! Thanks a lot, hanida for sharing this one! !😘 I took it to a friend’s place and every one loved it! 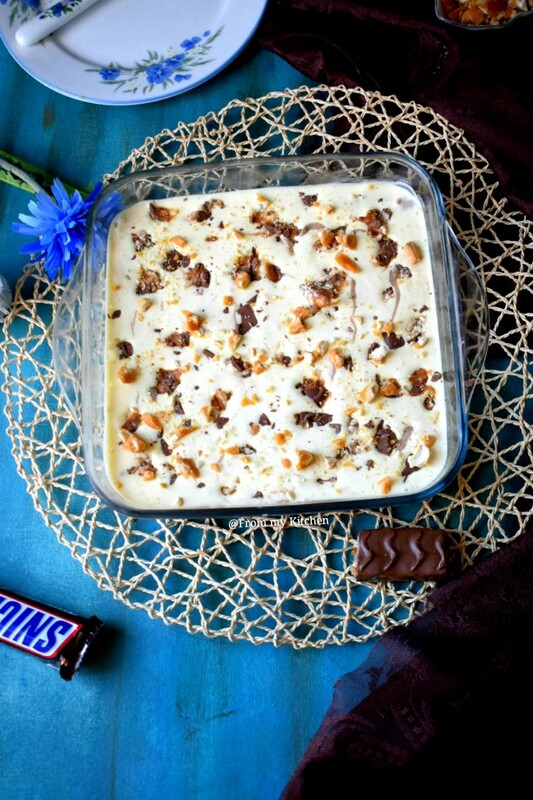 That snickers chunks, crunchy praline, soft biscuits along with butterscotch ice cream is too good!! This is a frozen dessert. So 10 to 15 minutes before serving take it out from the freezer and let it sit on room temp to make it a little soft and creamy pudding-like consistency! I’m so lazy nowadays to update the recipes! I have many posts pending! Dip the tea biscuit in cold milk and place it on the tray as a base. 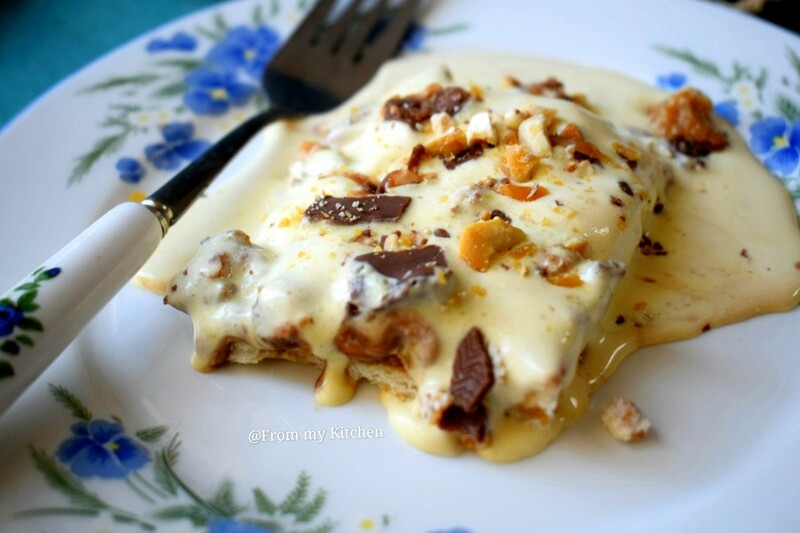 Melt the snickers in the microwave. Then add fresh cream in it and mix well. Pour it over the biscuit. Then pour the semi-frozen butterscotch ice cream on it and even it well. Garnish with small snicker chunks. Freeze it for 6 to 8 hours. Let them sit on room temperature for 10 to 15minutes before serving. Enjoy every bit of it!! 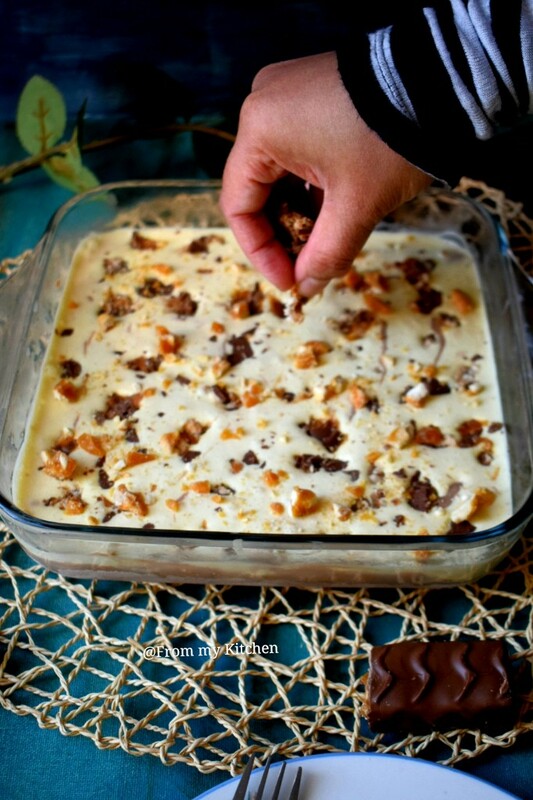 Note: You can layer it again, but for that, you will need the double qty or small pudding tray!